That’s right, yesterday Kat married Rafael, also known as Leafar Seyer, his stage name with his band, Prayers. Or, well they were technically already married — they tied the knot back in February in a quickie ceremony. And even though it’s only been a few months since then, it looks like they’re more in love than ever, since they had their big wedding this weekend! The whole thing really is just so sweet, and also so stylish — wait till you see Kat’s dress! 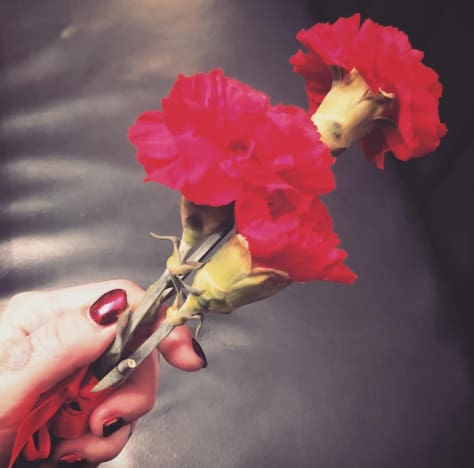 But before the actual wedding — on Friday after the rehearsal dinner — Kat took to social media once again to express her absolute happiness, along with a picture of some flowers. Because in case you missed it, she’s pregnant, too! In the caption of the photo, Rafael told us that “In a couple hours I’ll be walking down the aisle with the love of my life,” and he added “EN VIDA Y EN MUERTE,” which is what they’ve both been writing in their captions about each other for a while now. It translates to “in life and in death,” which is nice, right? We don’t have too much more information on the wedding yet, since they do seem to be off enjoying this special time together. But in case you wanted more info on that amazing dress, it’s by designer Adolfo Sanchez! 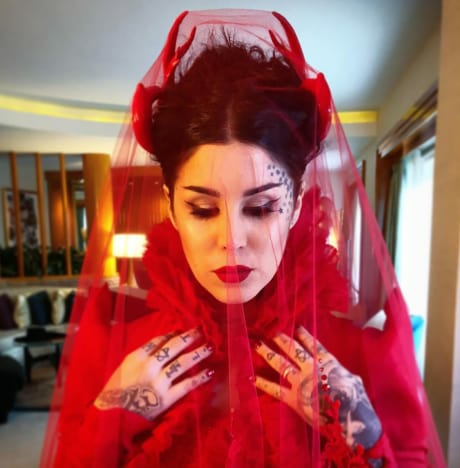 A friend was also kind enough to share a photo from the reception — you can get a full look at the dress, plus the kind of decorations you’d expect from a Kat Von D wedding. 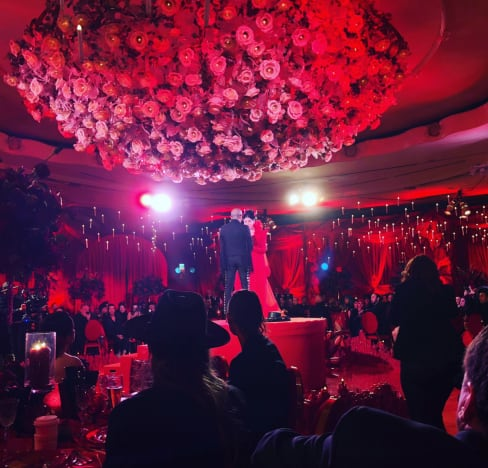 And honestly, in case you’re not getting our feelings on this, it really does look like it was an amazing wedding. For the record, this is Kat’s second marriage — she was married to tattoo artist and Ink Master judge Oliver Peck from 2003 to 2007. This is Rafael’s first marriage, but he does have a daughter from a previous relationship. In a few months, they’ll welcome their baby, a boy they’ve said they’ll name Leafar. Brooks Ayers: Vicki Gunvalson is Too Toxic For ME! Previous story Scott Disick and Sofia Richie: It’s Over! Because Someone Cheated!